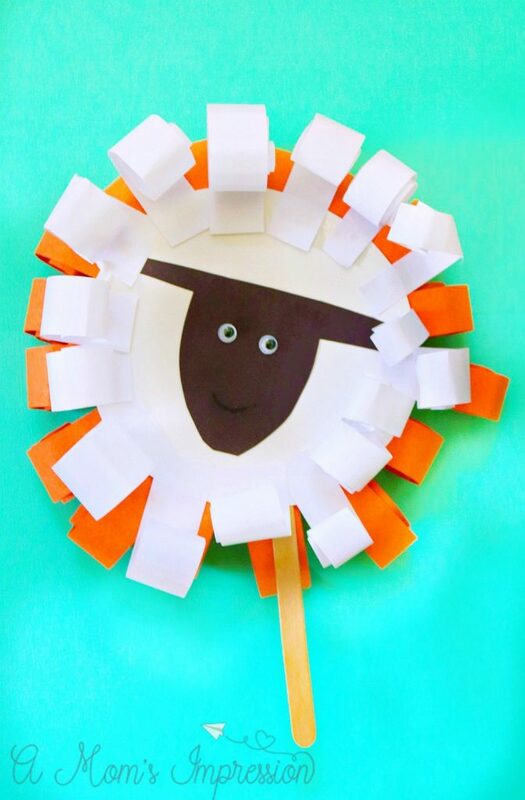 Our adorable paper plate March lion and lamb craft post contains affiliate links. Thank you for supporting us! March is here and the storm outside right now is confirming the age-old saying, “March comes in like a lion and out like a lamb.” I love finding easy to make activities that celebrate the new month or season to make with my kids. 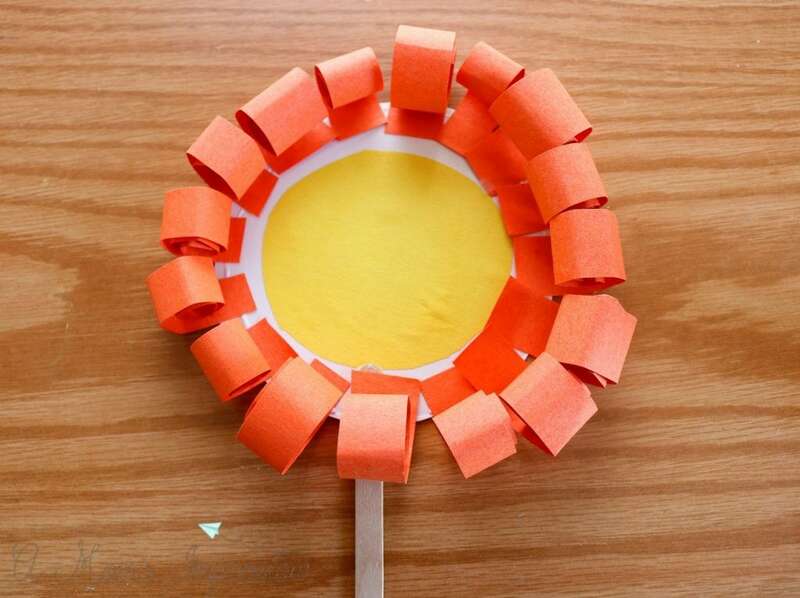 There are a few March kids crafts that I have in mind but I thought I would start with this fun paper plate activity. 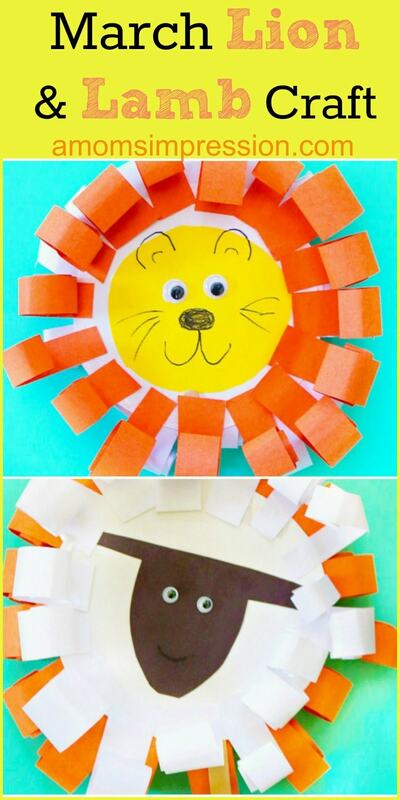 This adorable March lion and lamb craft is perfect to make with preschoolers and younger kids. It is double-sided with a lion on one side and the lamb on the other and would make a cute puppet for a play. 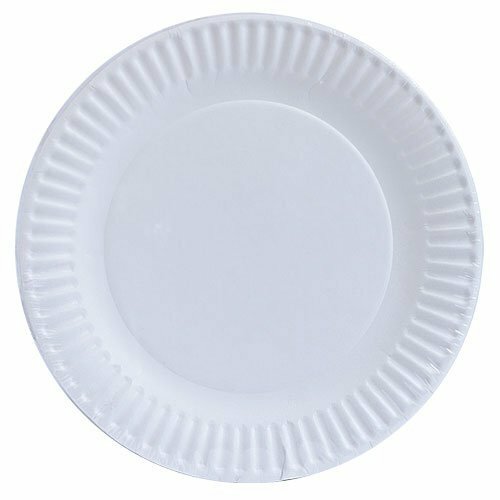 Cut out the inner circle of the paper plate. 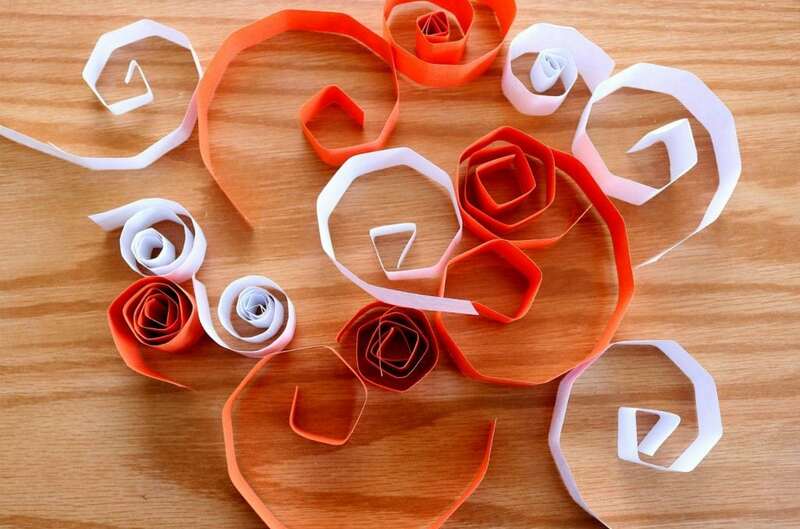 Cut strips 1″ wide from the orange and white paper, roll them up between your fingers. 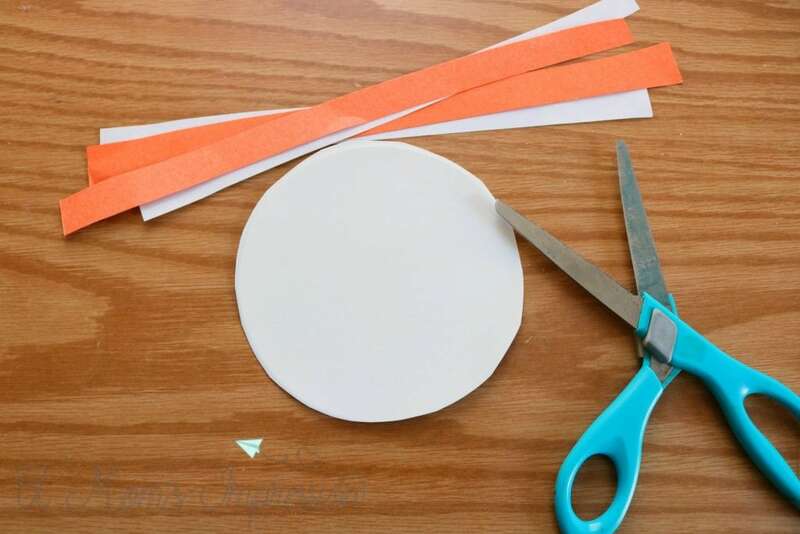 Glue the orange strips around the outer edge of the paper plate, flip it over and glue the white strips onto that side’s outer edge. 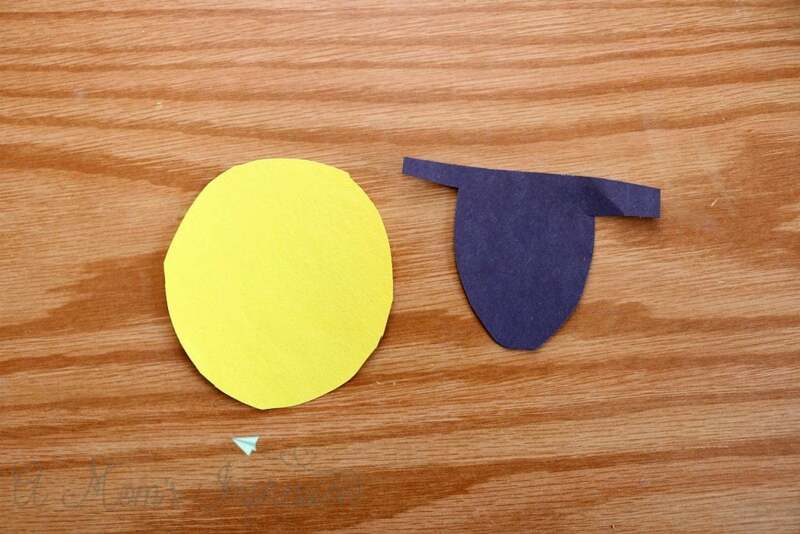 Cut the shape of a lamb’s head from the black paper and a round yellow circle for the lion face. Glue them into place with the eyes, draw a face on the lion. Attach the craft stick with glue. Let dry. In addition to a puppet you could also do a fun activity with your kids where every day in March you can decide what the weather is like, either like a lamb or a lion and fill out this graph that I found from DLTK. 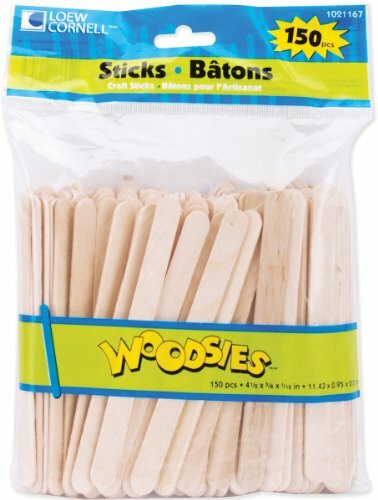 This can spark educational conversations about weather and the science behind it. I love sneaking in some education whenever I can even with fun March kids crafts! 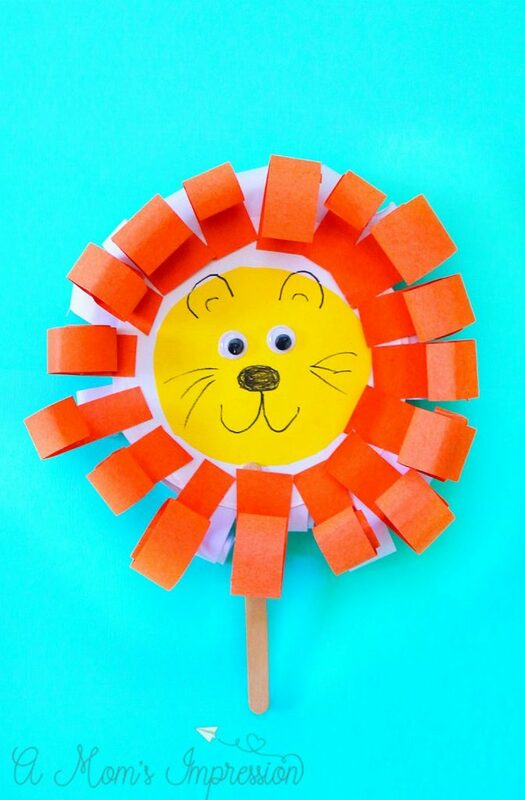 Need some more March kids crafts inspiration? 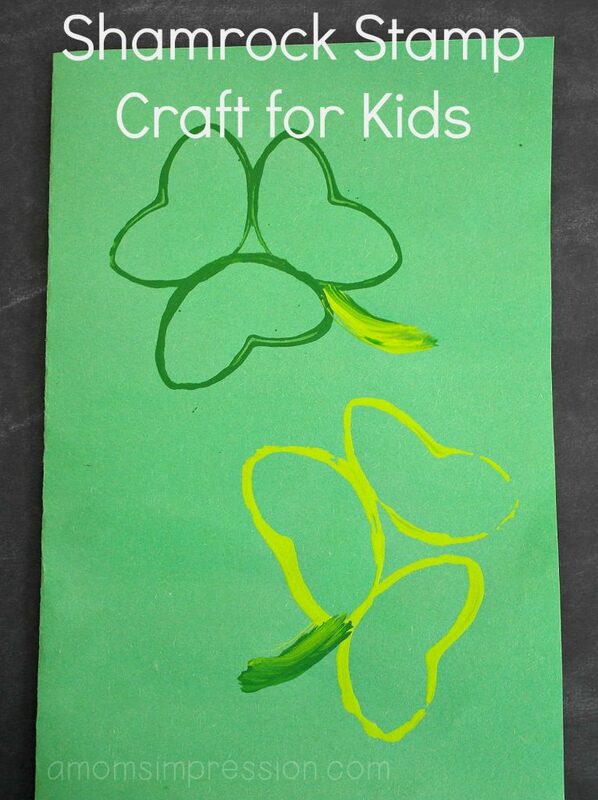 Check out this fun Shamrock Stamp Craft for Kids. 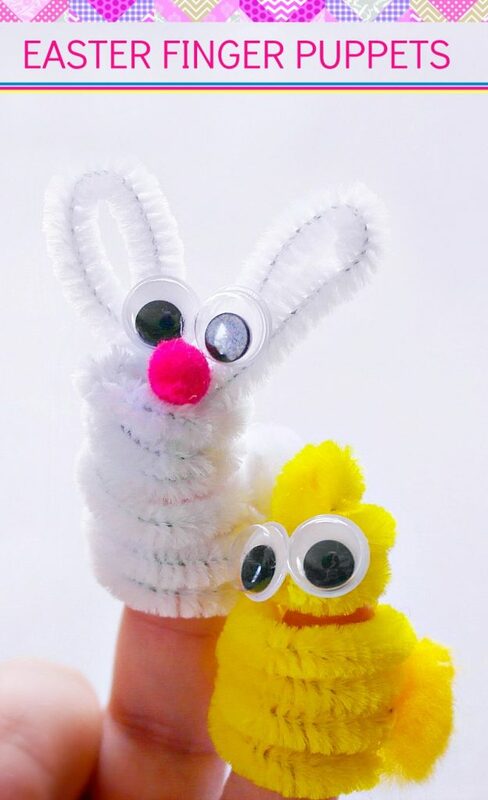 Or how about these adorable Easter Fuzzy Finger Puppets! 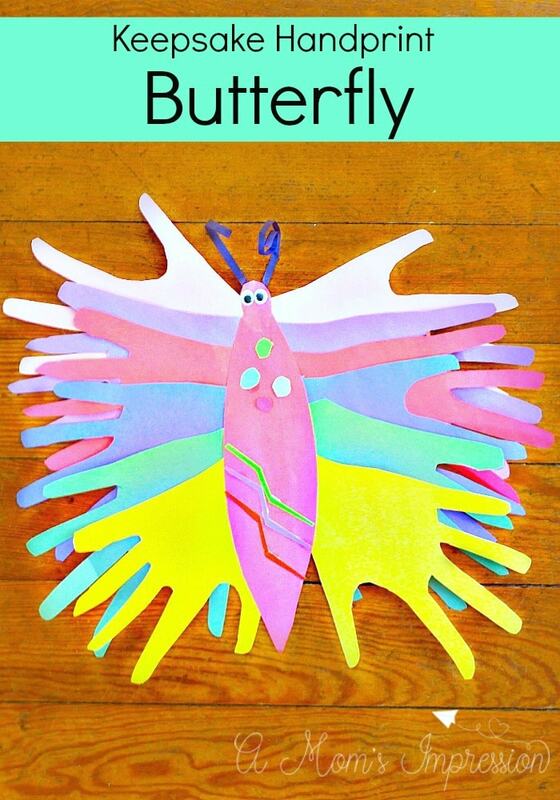 If you are like me and you have a soft spot for handprint crafts be sure to check out this fun Paper Handprint Butterfly Craft. I am ready for spring and all the fun activities that go with it! Lets hope that March truly comes in like Lion and out like a Lamb!